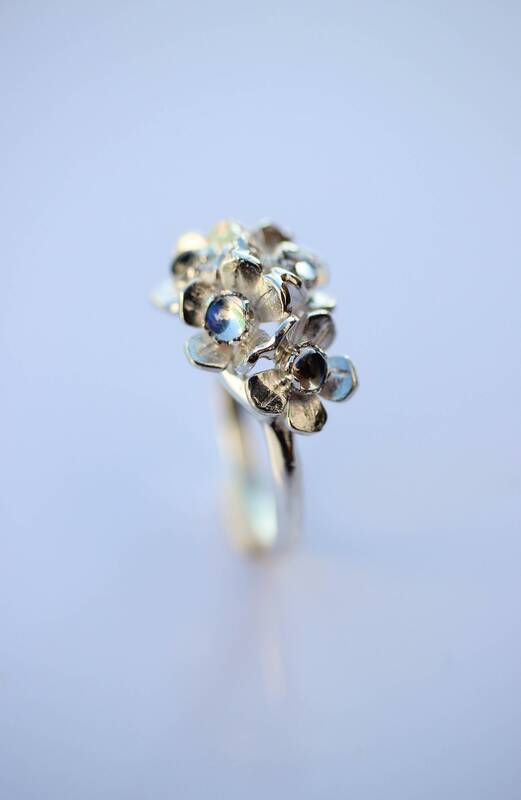 This romantic nature inspired ring was hand-sculpted from sterling silver and features botanical design with tiny flowers which remind me forget-me-nots. 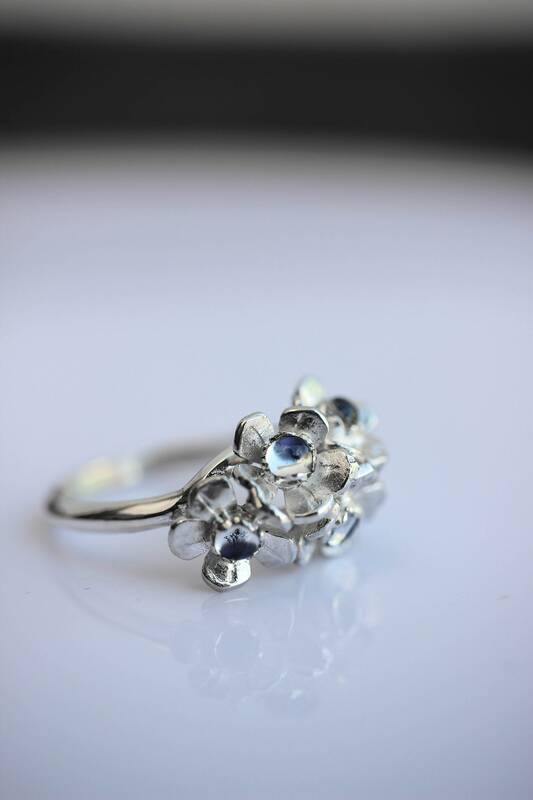 Bouquet ring has five flowers and each of them is adorned with natural moonstones. 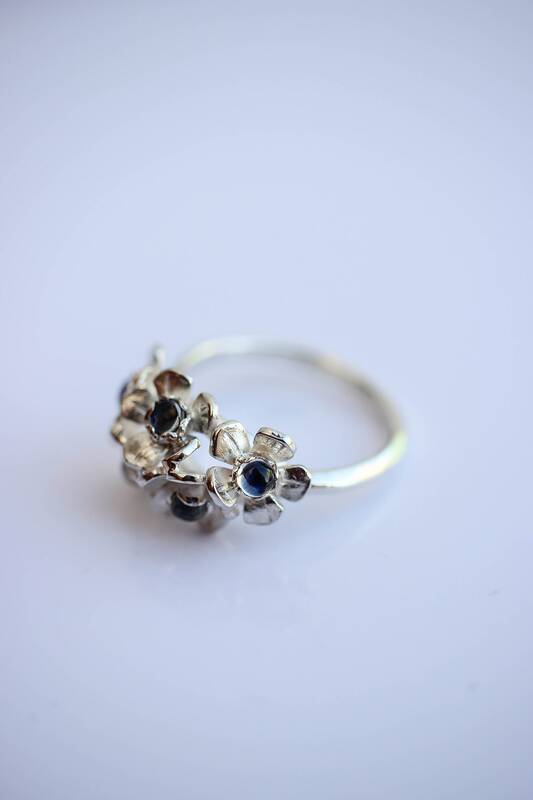 This could be an unforgettable gift for any woman who admires floral jewelry. Delicate and romantic design makes it a lovely engagement ring as well. 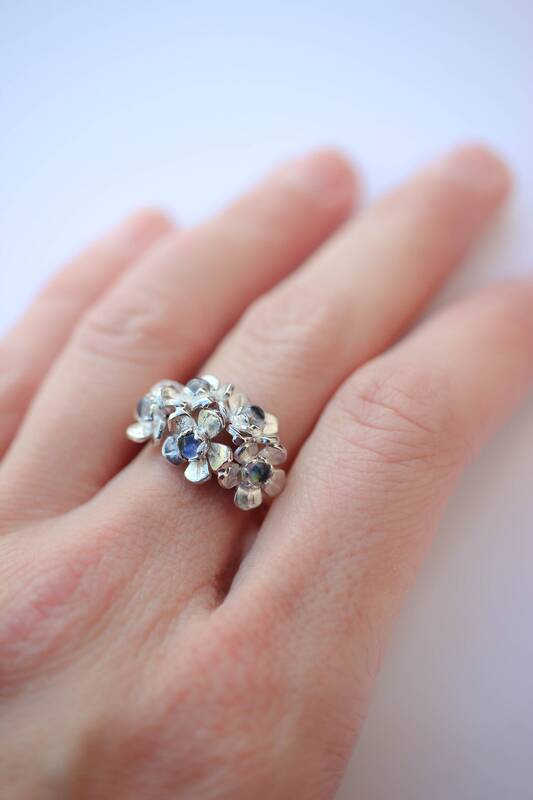 this ring is made to order in any size. 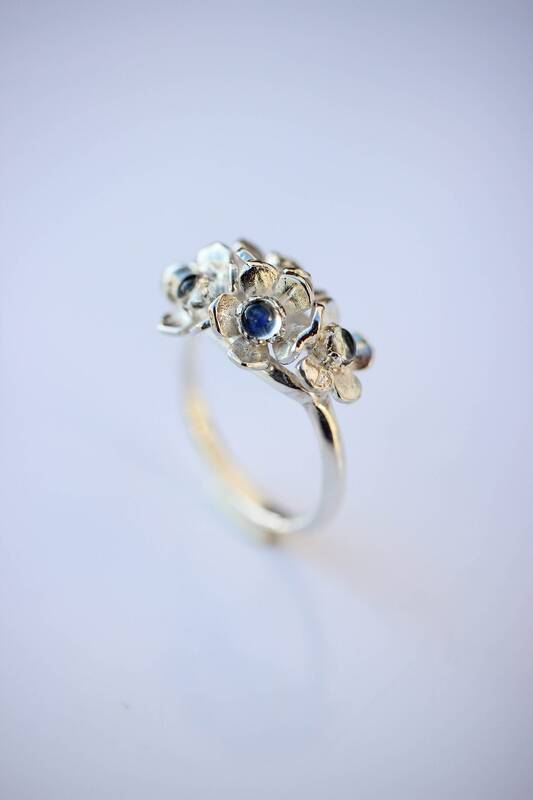 If you are looking for a unique flower proposal ring but wish to have another gemstones, just contact me, I would love to create a custom ring for you. about 2-3 weeks for producing plus shipping. standard usually takes about 5 business days to arrive to EU and US. But due to customs there could be delays with overseas delivery and it can take about 2 weeks. We always use registered post and provide tracking number. Express courier delivery is available during check out for additional cost. We use UPS service and they guarantee delivery in 2-4 business days. Fully insured, fast and safe.